Kotagiri is the oldest and the third largest hill stations in the Nilgiris. Looming over and above all the surrounding hills in the North-eastern escarpments, its climate is claimed to be one of the best in the World. Kotagiri literally means the lines of the house of the Kotas. 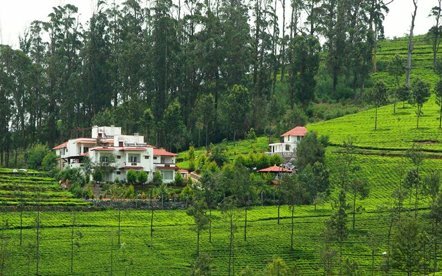 Kotagiri is quietly tucked away in the Nilgiris and used to be the summer resort of the British. Till date the beauty of hill resort of Kotagiri attracts tourists and the sun scorched souls from far and wide. 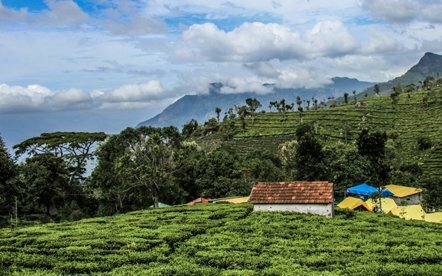 Unlike Ooty and Coonoor, Kotagiri is situated in an 'open-terrace' massif. At an elevation of 1985 m. the town has developed around numerous knolls and valleys. The Kotagiri weather is more bracing than that of Coonoor and balmier than that of Ooty. It is 18 kms away from Kotagiri on the easternmost ridges of the Blue Mountains and hence the name meaning Terminus Country. It is 7 km from Kotagiri and situate above Uyilathi village. The road passes through serenely laid out Badaga habitations. It is 8 km from kotagiri on the Mettupalyam road branching off at Aravenu. This double-cascaded Falls is the second highest in the district (250 ft) and it waters from the upper stream of the kallar river crossed by the invisible Mettupalyam-Ooty road beyond the mountains in the south-west. About 3 km from the town, the road proceeding towards the Badaga village of "Milidhane" branes off to Longwood Shola which is Forest Reserve. It is 20 kms from Kotagiri via Kil-Kotagiri. The conical peak exudes an exhilarating view of the wild yet harmonious semblance of the country lying around. Accommodation is easily available in Kotagiri. There are several tourist lodges, guesthouses, hotels. The hill resort of Kotagiri is located in the famous Nilgiri Hills. Kotagiri is just 16 km away from Ooty. The airport at Coimbatore is the nearest to Kotagiri at a distance of over hundred km. Kotagiri is well linked with the other important places in Tamil Nadu through road transport. There are regular buses to Ooty, Mettupalayam and Coonoor.